Beno M. submitted this photo and caption. 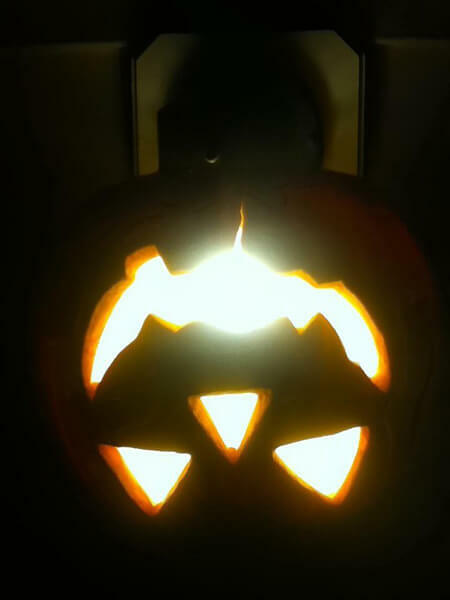 Using the Cavaliers' "XtroardinarY" production as inspiration, this is my upside down pumpkin at my house. I am a former marching member of the Cavaliers and my son Andrew is now marching with the corps. Great to see him march in the corps I marched with for seven years. I am truly honored.